A piece of wood engraved with Sir Isaac Newton’s initials from the tree which inspired him to formulate the theory of gravitation will travel into space on the next NASA mission STS 132, this Friday May 14th. 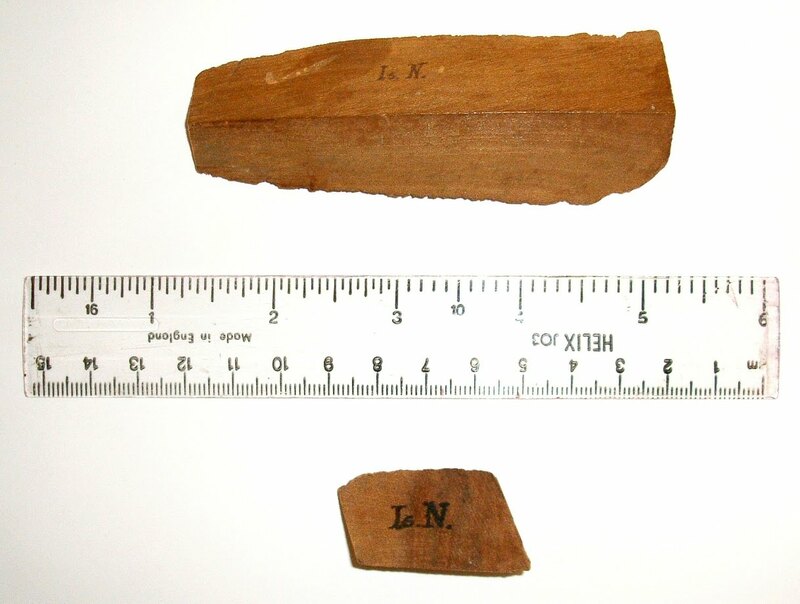 The sections of wood pictured here are from the tree from which Newton (1643-1727) famously saw the apple fall at some time during 1665 or 1666. The tree still stands in Newton’s former home, Woolsthorpe Manor, in Lincolnshire. The Royal Society, of which Newton was a former president, has entrusted the section of wood to the British-born astronaut Piers Sellers as part of its 350th anniversary celebrations. He will be flying with the larger piece of wood as well as with a portrait of Sir Isaac Newton. ‘We’re delighted to take this piece of Sir Isaac Newton’s apple tree to orbit. The NASA mission will last 12 days. The piece of wood will thereafter be held as a permanent exhibit at the Royal Society. Earlier this year, the Royal Society made available online, for the first time, the original manuscript of William Stukeley’s biography of Newton. Stukeley was one of the first biographers of Newton and was also a Fellow of the Royal Society.